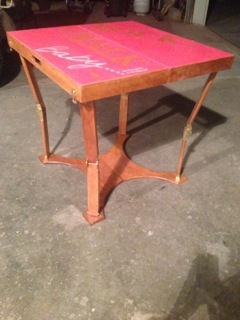 I found this portable table at an online auction. They are brand new and are fantastic tailgate tables. All of the legs and base use hinges allowing it to fold itself down and around itself. They are very portable, solid and make a fantastic opportunity to turn it into a table that represents a local or national team for a FAN! 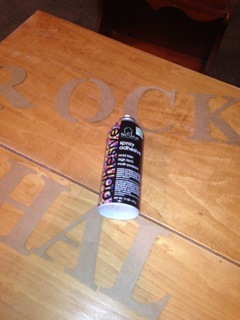 I knew University of Kansas was the next team I wanted to paint one of these tables for. I’ve done several types of tables for area sporting teams, always using the typical team colors. I have fallen in love with APC’s Momma’s Lipstick–and decided that if pink logo t-shirts are popular maybe sport fans would find a pink table fun too! 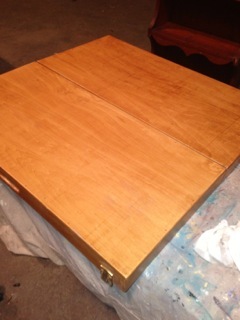 The table was finished with high polish, so I sanded it off, using an air compressor to blow off the dust. Next I applied large stencils, using the cutout portion of them, instead of using the typical inside portion. I would consider this a ‘reverse’ stencil process. I applied spray adhesive to them and placed them onto the table, making sure they were in a line and equal distance apart. I then followed that with 2 coats of Momma’s Lipstick. 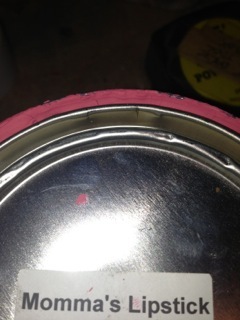 I waited for the paint to dry, but not fully, allowing me to peel off the stencils. 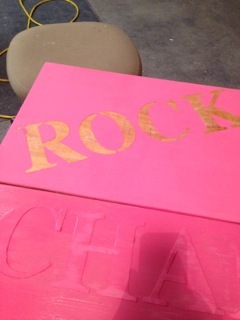 I did 1/2 of the table at a time, due to only having 1 full set of stencils. 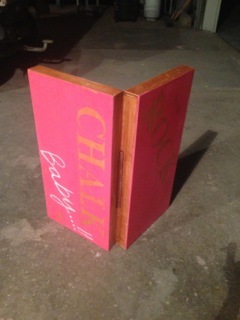 After both sides were stenciled and painted I wrote the word “Baby”, as the common saying around KU fans is “Rock Chalk, Baby” I think “Baby” fit right into the hot pink theme. 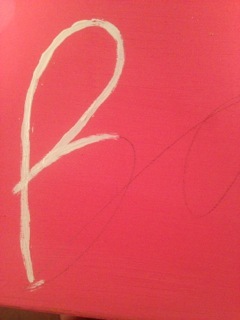 I wrote it in free hand, using pencil and then followed it with 2 coats of APC Home Plate. I allowed the entire table to dry overnight. 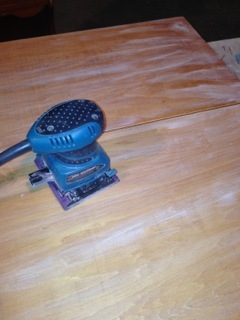 I then took the sander with 220 grit paper and sanded the entire top lightly. 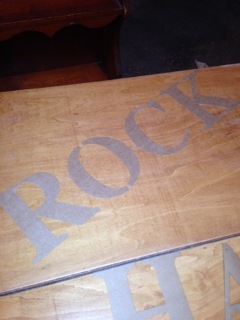 When I create these tables my ‘look’ is the “old school” distressed theme. I like them to look a little weathered & worn..as if they have seen some wear & tear from many tailgate parties. 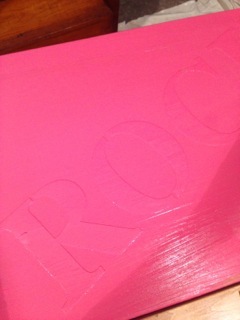 I then applied 3 coats of APC top coat, sanding using 320 grit paper in between each coat. 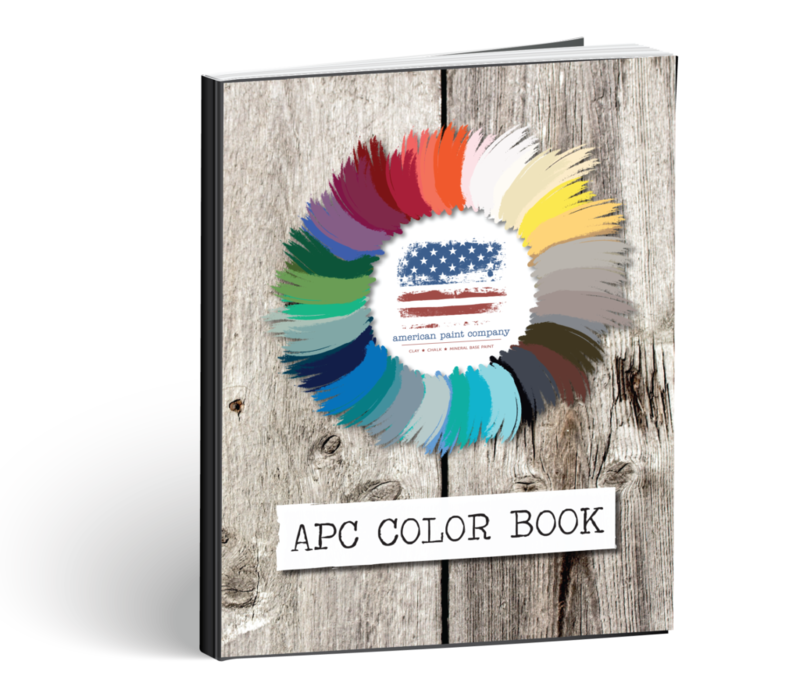 I love the versatility that APC paints give me when I find my “Junque”. Not every piece you paint is an antique, sometimes they are whimsical, fun and just plain funky. Although this wasn’t an advanced painting piece, it does represent what can be done to something to turn it into a piece that a true KU fan will enjoy and discuss. 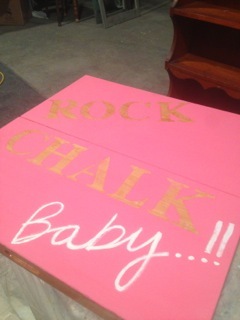 Who else will have a hot pink “Rock Chalk, Baby” table in the parking lot? I just took a class from your featured artist. 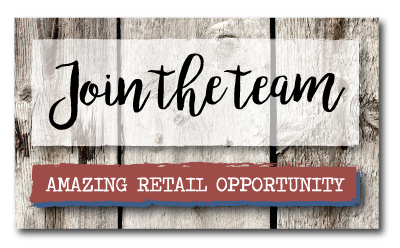 She is fantastic and highly promotes your product. She made a believer out of me! Can’t wait to get started painting!